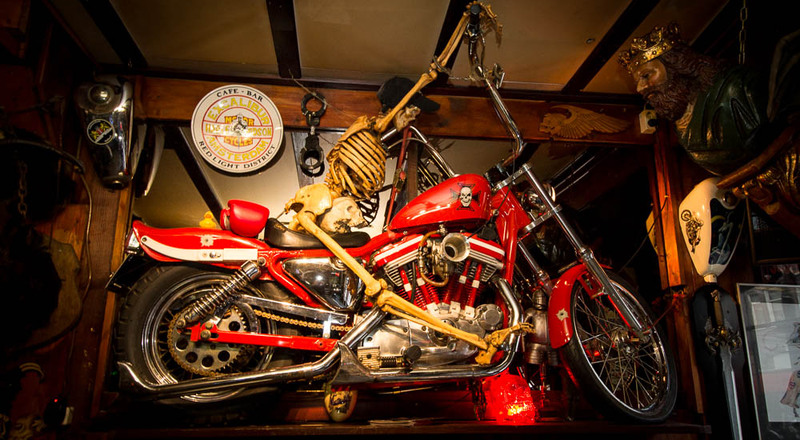 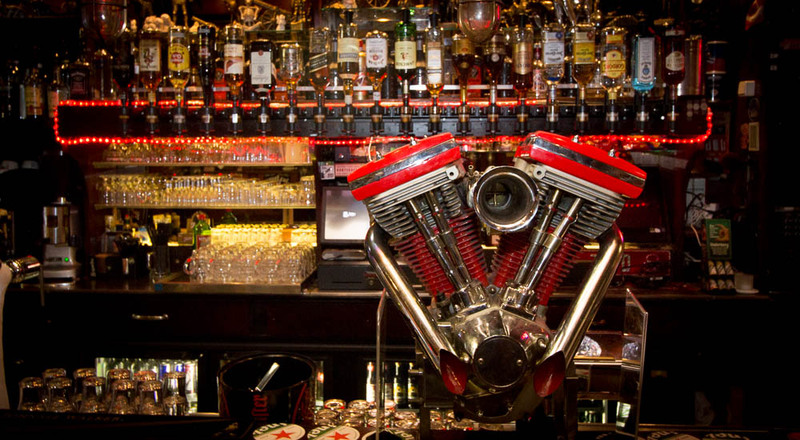 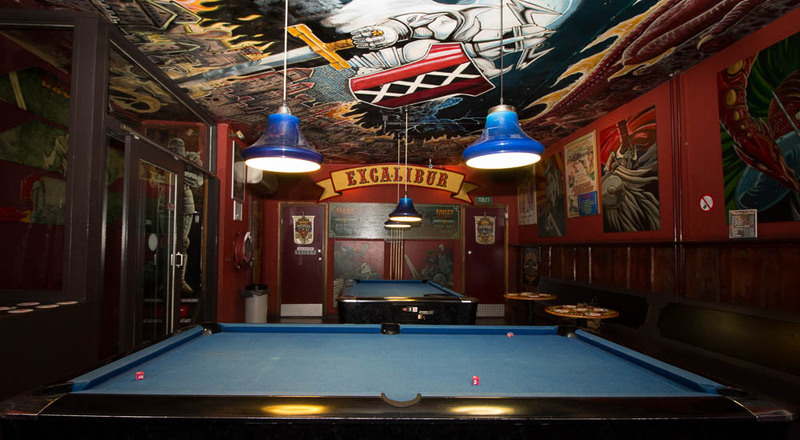 If you like your rock music played the hard way and you also have a fondness for motorcycles, then Excalibur is a must-go venue. 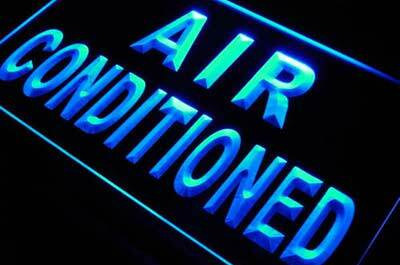 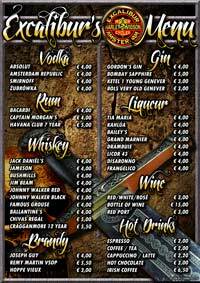 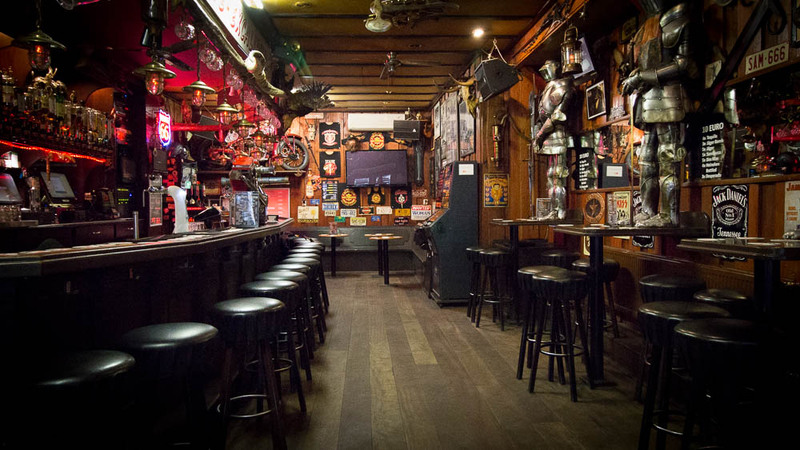 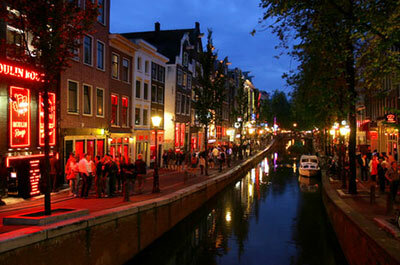 Located in the heart of The Red Light district on Oudezijds Achterburgwal street. 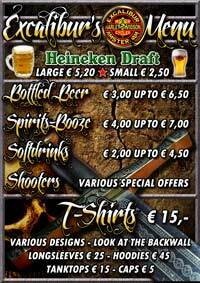 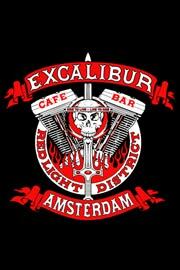 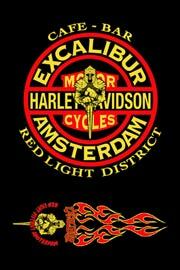 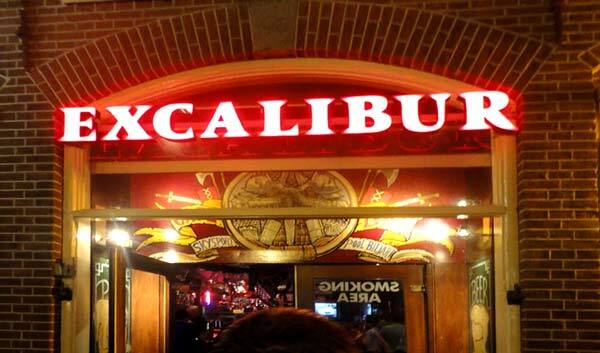 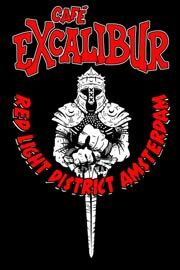 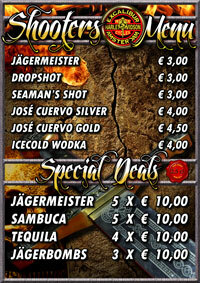 Excalibur offers great views onto the main thoroughfare of the Red Light district. 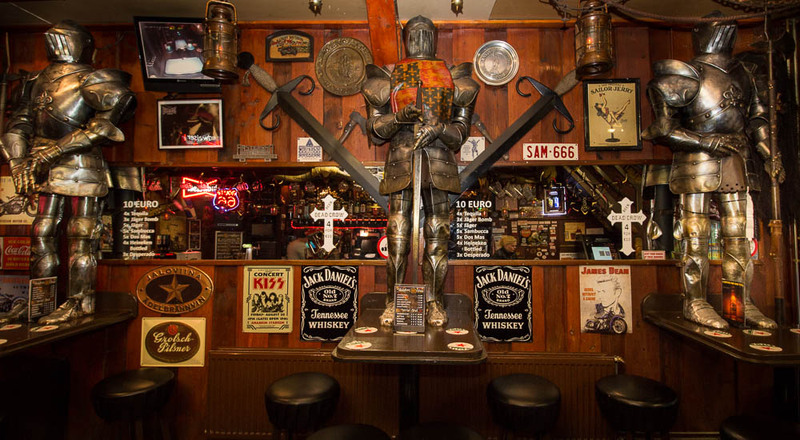 Inside, the knight meets the Biker and you will no doubt be taken aback by the King Arthur style memorabilia, as well as verious fascinating motorcycling objects. 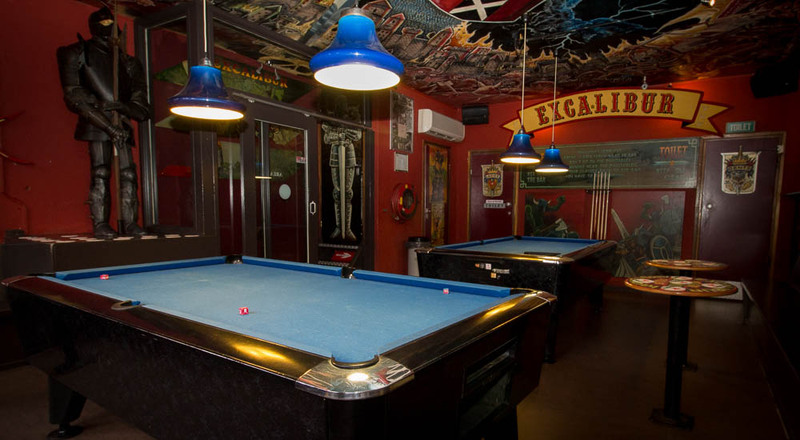 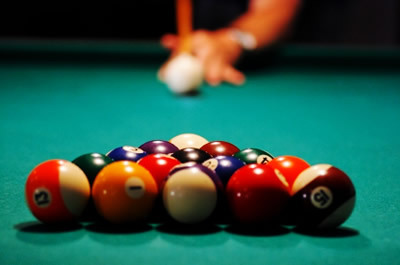 Other perks include pool tables on the top floor and Sky Sports television. 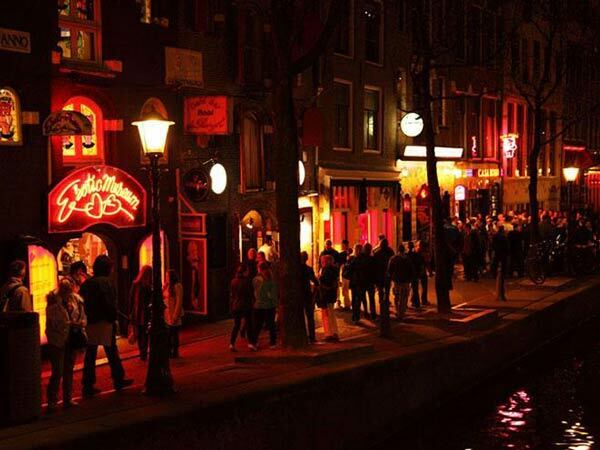 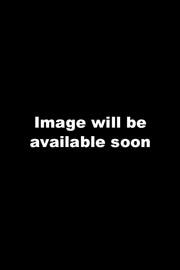 The service is among the friendliest you will find in Amsterdam, as the down-to-earth staff go out of their way to help. 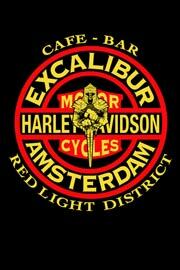 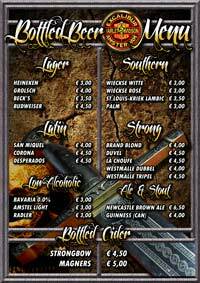 If you want to order one or more items please email us your order (type, amount and sizes) at verkoop@excaliburcafe.nl and we will contact you for further settlement.